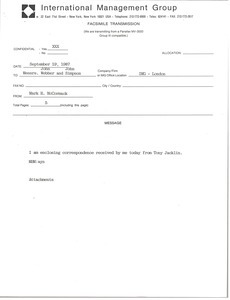 Concerning the attached resume of Ross Gordon Rylance. 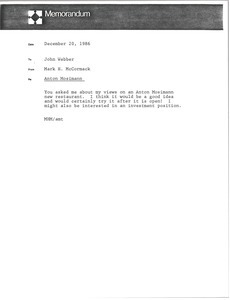 Concerning McCormack's views on an Anton Mosimann restaurant. 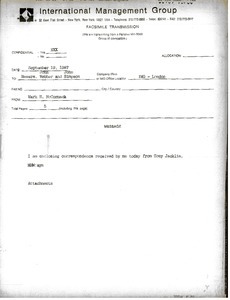 Concerning the attached fax from John Duffus, McCormack does not like the continuation of Pacific Images. 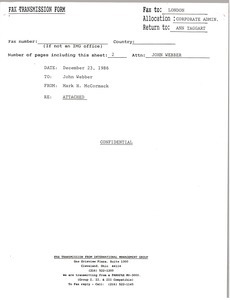 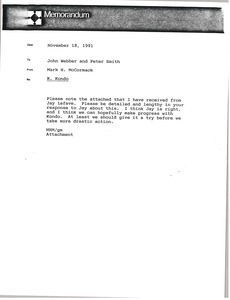 McCormack sends a memorandum from Arthur J. Lafave regarding K. Kondo. 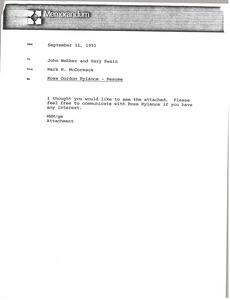 McCormack sends a note from William H. Carpenter. 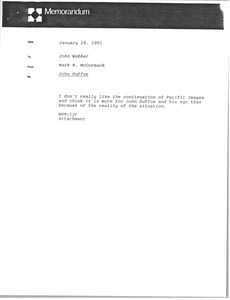 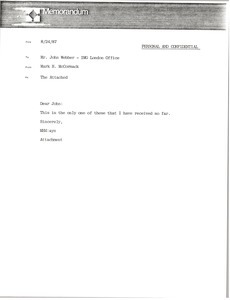 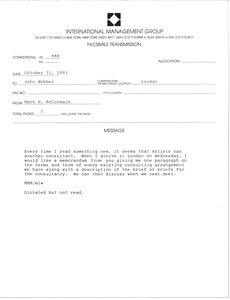 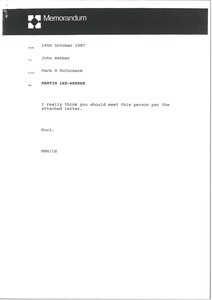 McCormack forwards a letter from Martin lee-Warner, and notes that he believes Webber should meet with Lee-Warner.